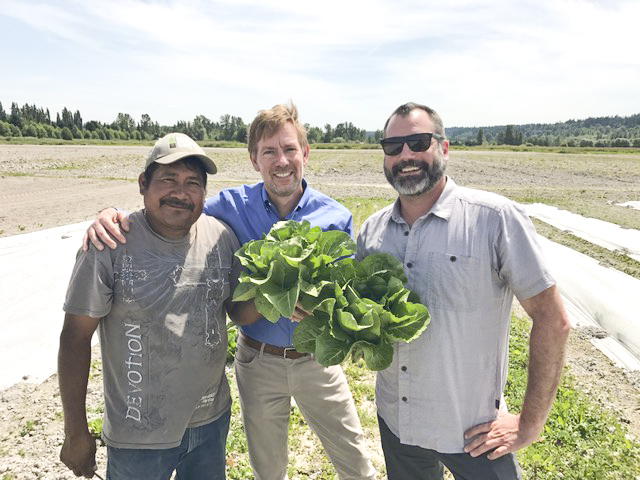 Fresh Romaine lettuce grown at Sound Sustainable Farms, June 2017. This same lettuce head went directly into a salad whipped up by Tutta Bella's Chef Brian Gojdics (right). True farm to table product! Cedar Grove partnered with Washington State University Snohomish County Extension to conduct compost trials with local farms. The trails conducted showed significant improvements in crop yields after the application of Cedar Grove Compost.